July | 2013 | Hello, Kristina. Today I posted my monthly favorites/recommendation video over on my YouTube channel. This video features a couple of games I’ve been playing, a slew of movie reviews and a few of my beauty/fashion favorites for the month. 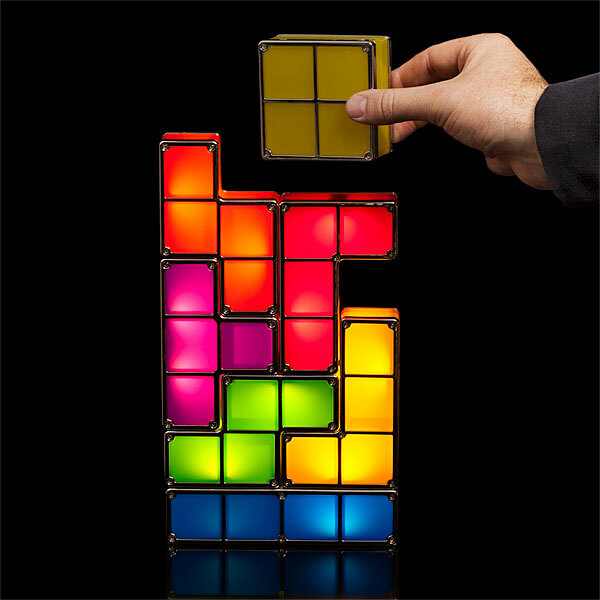 I also linked to a couple of the Subblime lists I’ve created this month – including my standard monthly favorites list, as well as a special Favorite Geek Items of the Moment list, which includes a giveaway for this super nerdtastic Tetris desk lamp. Go leave a comment – you could win it! 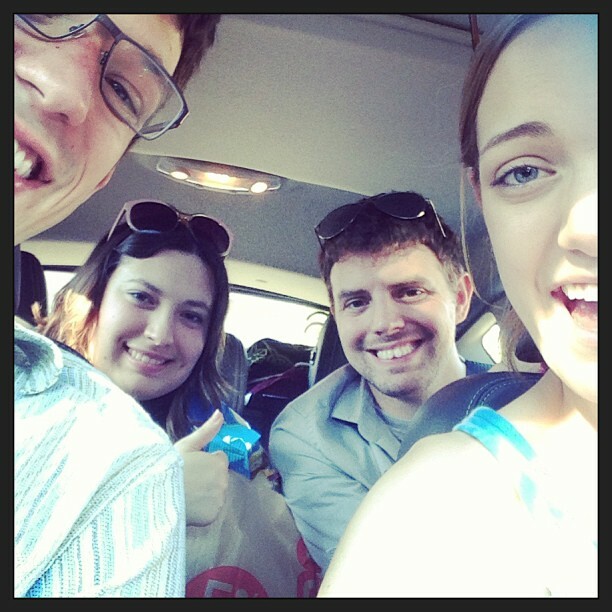 This past weekend, my friends and I piled in the car and drove the four hours from Seattle down to Silverton, OR for the Canterbury Renaissance Faire! 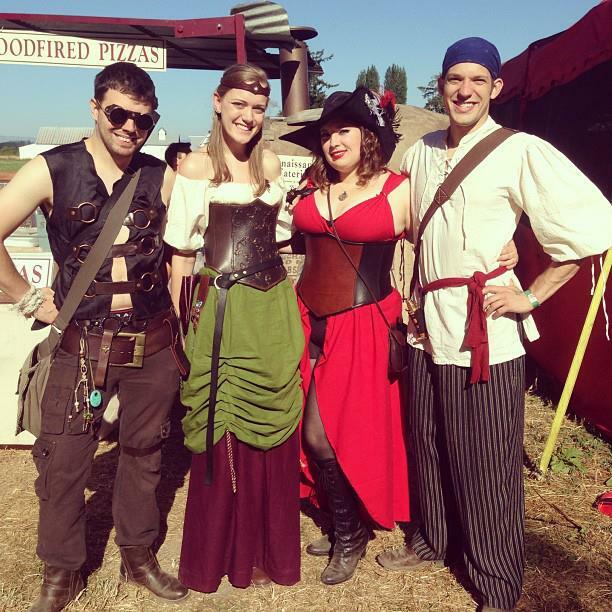 Generally we go to our local faire in August, the Washington Midsummer Fantasy Faire – but due to a stroke of good fortune, I happened to pick a Fiesta Mission this month that instructed me to check out a Renaissance Faire. This was the perfect opportunity to see what other Faires go on in our area! In my searching, I found this one in Oregon happening during the weekend we had available for the trip. So, knowing very little about where we were going or what it was going to be like, we donned our festive gear and arrived at the thicket of trees housing the Canterbury Faire. This Faire was amazing! Not only was nearly everything shady (thank you, foliage of the Pacific Northwest!) but walking around amidst the trees and dirt actually made the experience feel that much more authentic. It was a bit smaller than the Faire we’re used to, but there was no shortage of incredible vendors, the food was delicious (love a good Turkey leg) and the people were so friendly and welcoming. My friends and I spent a good deal of time at Oberon’s, the onsite Tavern with a selection of beers, ciders and honey mead. The Faire itself closed at 6pm each day, but we found that the Tavern stays open well into the night. We headed back after changing into what I like to call “Ren faire garb phase two”, which means unlacing bodices and leaving utility belts of knick knacks behind. Clothed in only a flowy red dress, I returned to the Tavern with my party where we enjoyed a bit more mead than we maybe needed and befriended people with names like Talon, Spiral and Lord Rose. We also got our Tarot cards read by a lovely women who informed me that I have a guardian angel following me around. 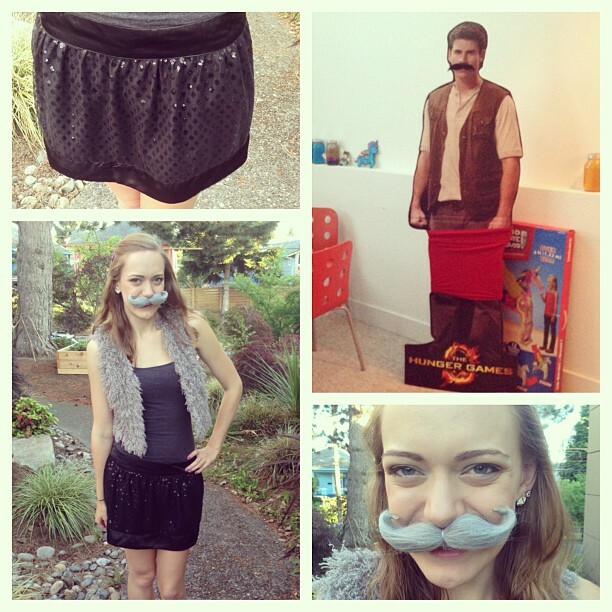 While Saturday was full of shopping and eating and exploring, Sunday was a day of hilarity. Liz was entered in a beauty pageant, I helped invent hybrid drinks at the Tavern and was propositioned to be a model of leather headpieces for one of the merchants, and Justin was employed as the bodyguard to the ambassador to the Queen. Thus we didn’t see him for hours. You think I am joking here, but I’m not. This actually happened. 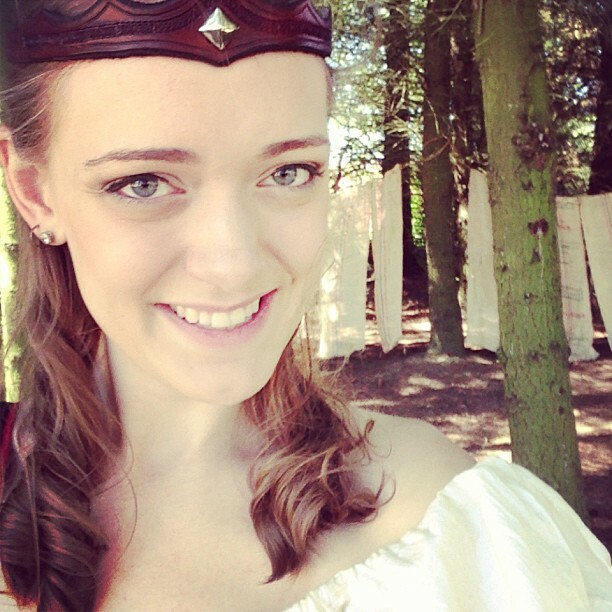 All in all, The Canterbury Faire was a lovely event that graced my friends and I with a magical, medieval weekend. I so enjoy going to Renaissance Faires, because the people there are the kindest, most interesting and fun people you can meet. Also, there is nothing wrong with a weekend where costumes and role playing are encouraged. My costume carries no weapons yet features both a wand and a potion bottle – I like to image the person I’m portraying has a couple of dark secrets. I truly hope I can make it to another Faire this year, and I’d love to hear about your favorite Ren Faire experiences below! 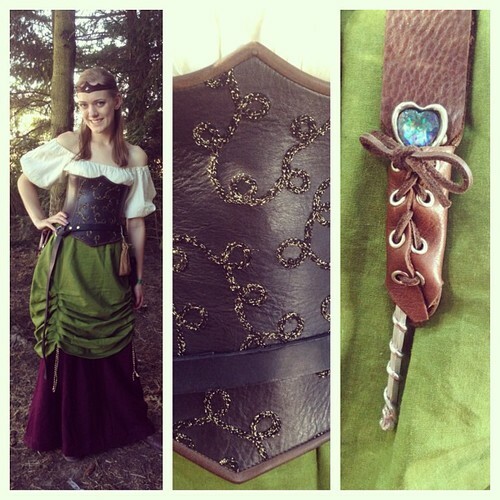 Also, stayed tuned for an Outfit of the Day post on my full medieval ensemble! Welcome to my new blog! This is that necessary, generic, boring post one must create to like, start the blog. Every subsequent post can only be better than this.